For any new business trying to get its bearings, the process of warehouse design is an extremely important one. Warehouse design should be targeted towards achieving three main workspace characteristics: organization, efficiency, and safety. But creating a warehouse that meets all of these criteria is not something that is easy to do on your own; luckily, you can rely on the expert assistance from the pros at S.W. Betz to complete your warehouse design project! Read on to find out more. Planning your warehouse design is best left to the pros! To create a truly organized warehouse, your expert materials handling team will help you find the right tools: Wireway Husky pallet racking, LewisBins+ bins and containers, and so on. Equipment such as this allows you to stock and store items that you need without allowing them to crowd the floor or workspace. A professional team will be able to ensure that you find high quality products that will last for years to come. The layout of your warehouse can do a lot to either help or hinder the daily activities of your employees. A poorly-designed warehouse can kill your productivity level, while a well-designed one can enhance it: IdealShield aisle tape can indicate which pathways different equipment should follow, conveyor belts can help transfer items safely, and modular offices can help separate your space as necessary. 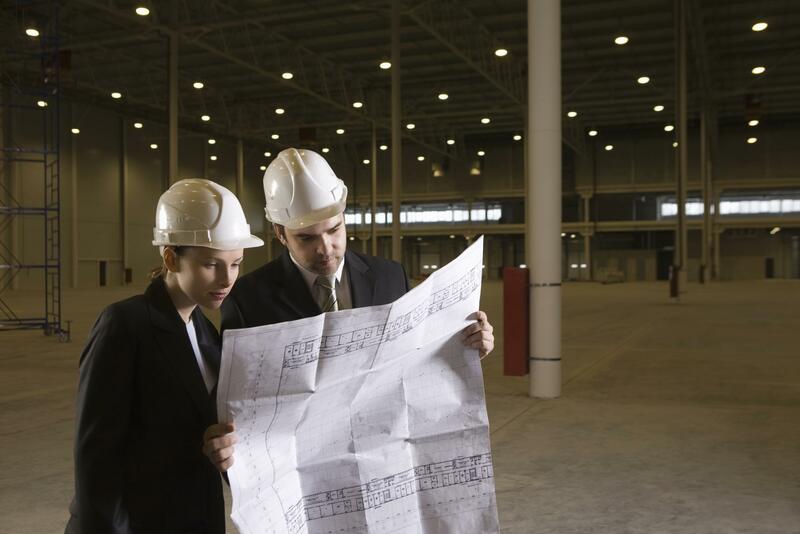 One of the most important aspects of warehouse design is creating a safe working environment. Your professional team can help you to develop a layout that will keep items secured and out of high-traffic pathways, reducing the risk of falling-item injuries and other warehouse mishaps that can threaten the safety of your employees. In order to create the best warehouse possible, it is important to seek the assistance of a professional materials handling company. Get in touch with S.W. Betz today to learn more! The S.W. Betz Company, Inc. has been providing businesses in Maryland and beyond with all of their essential Weighing, Material Handling, Dock, and Warehouse equipment since 1933. Talk to one of our experts to learn more about warehouse design. S.W. Betz provides comprehensive distribution, installation, and maintenance services for all of your materials handling needs. For the best, call Betz at 410-574-1414 or 800-332-0322. This entry was posted on Tuesday, June 9th, 2015 at 7:15 pm. Both comments and pings are currently closed.